All new homes in the Duchy built or commissioned by Cornwall Council will have sprinklers installed, it has been announced. At yesterday’s full council meeting, members voted to approve a motion brought by Neil Burden, Cornwall Councillor for Stokeclimsland. As a result, sprinklers will be installed across all future Housing Development Programme (HDP) schemes at a cost of around £1.8million. As announced last month, the HDP will see the Council invest up to £170 million in directly building 1,000 new homes on sites across Cornwall. The developments will be a mix of homes for private market rental with 35 per cent for ‘affordable’ rent or shared ownership, 15 per cent sold on the private market and 50 per cent available for private market rental. Cornwall Council cabinet member for homes Andrew Mitchell welcomed the move. He said: “Sprinklers save lives. 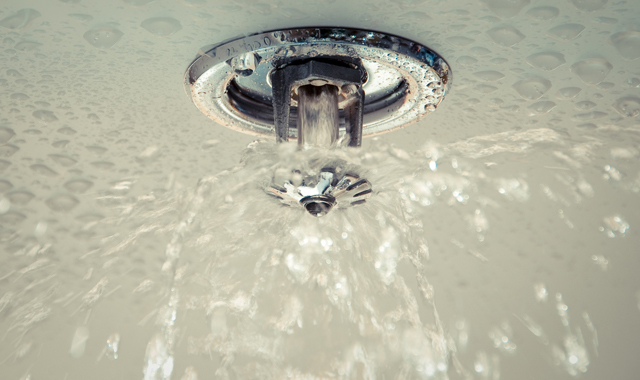 Our fire service has long advocated for the use of sprinklers as the evidence shows that they can prevent fire from spreading - not only making sure routes are clear for occupants to escape to safety, but also limiting property damage. “While it is not mandatory to install sprinklers in new homes, this is our opportunity to lead by example. We are investing in building good quality homes for our residents and it is only right that we do all we can to ensure our future housing schemes exceed safety standards.